We had a lot of fun with our Haunted doll house for Halloween, so we've made another one for Christmas. 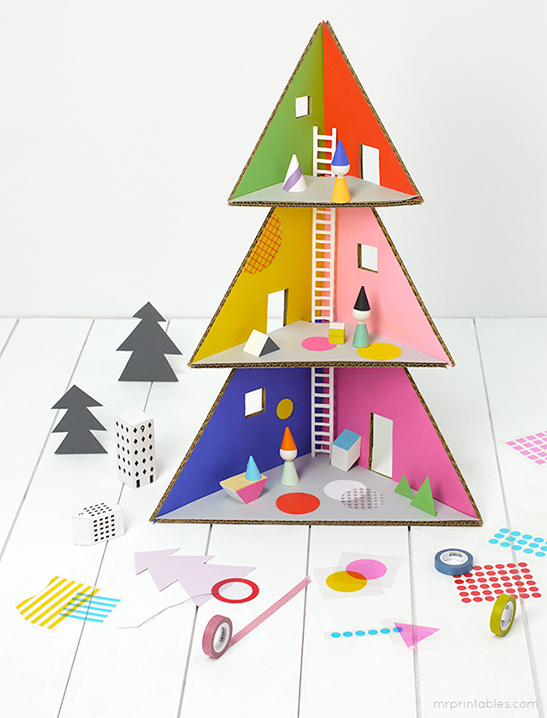 It's a Christmas tree doll house! 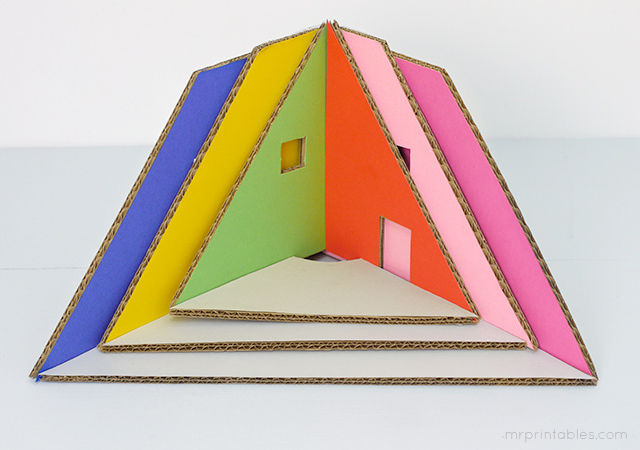 A three floor cardboard house you can build easily for fun Christmas activity and decoration. Of course it can turn into any tree house for the whole year. We made some simple peg dolls for it, but little birds or forest animals can live in your tree house too, something we’re looking forward to trying later. Enjoy! 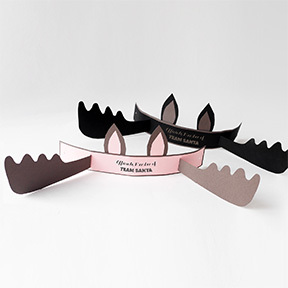 Print the templates (a good chance to recycle plain papers that already have things printed on the other side.) 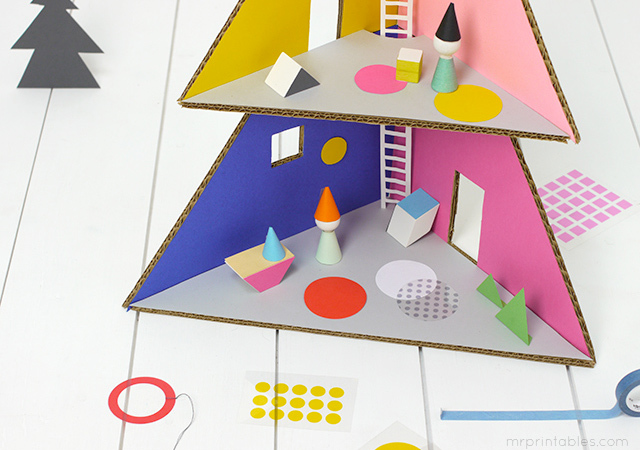 and trace the shapes on to cardboard. 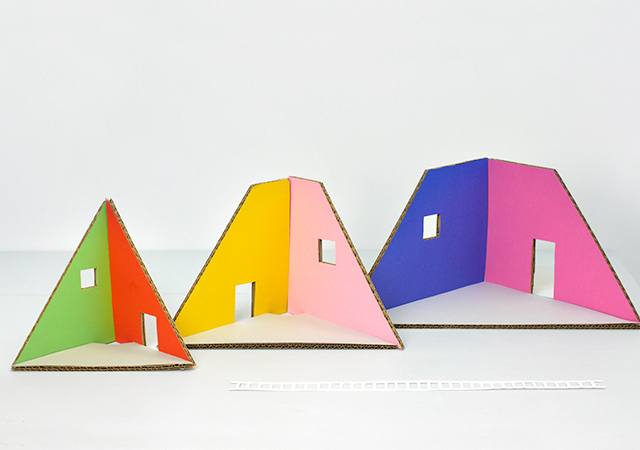 You can mount colorful papers, or white papers to color and draw on, on to the cardboard at this stage. We went for a full colored one for a festive mood. 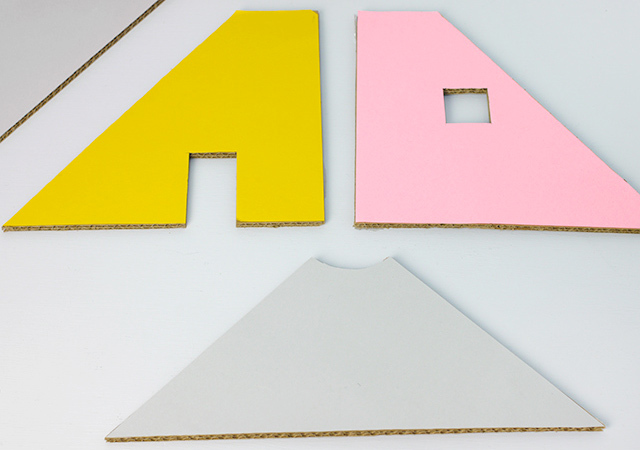 Templates are marked with A, B, C and the 3 pieces of A, for example, form one triangle room. Put the 3 pieces together and fix with tape on the back. If you have duct tape, that would keep them together strongly. Make all 3 rooms. 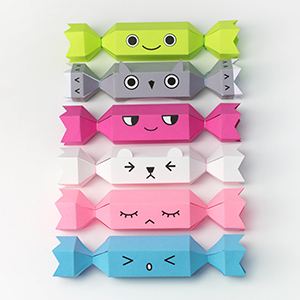 Make a ladder by folding a long strip of paper in half lengthways and cut with scissors, there’s a guide in the template to help. 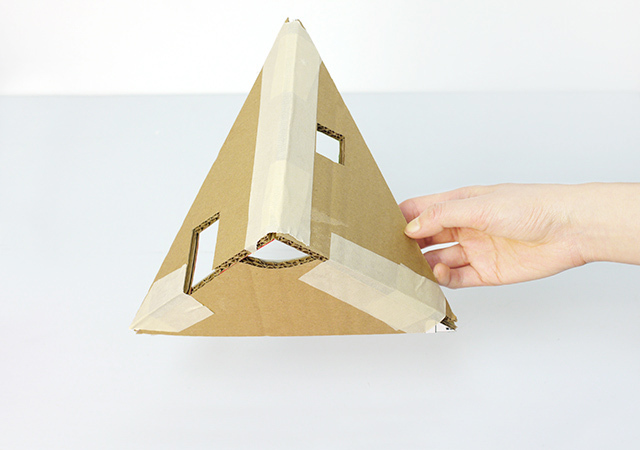 Stack the triangles on top of each other and tape where they meet. Taping was enough to keep them strong as the vertical walls and triangle shapes make a solid structure. That’s it! 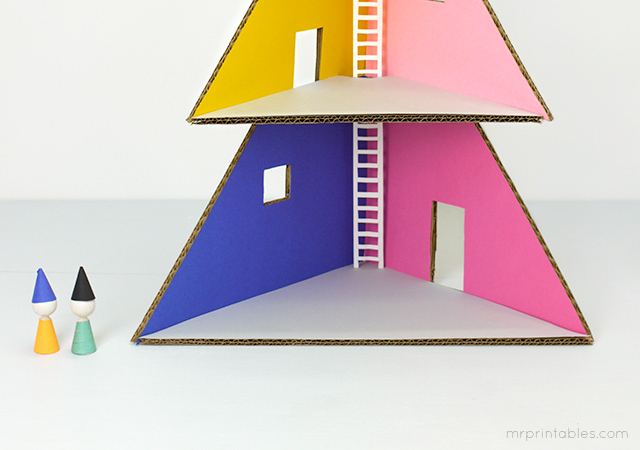 If you make multiples of this structure, mirroring the walls to match the doors/windows, they will fit together into a two or even a four sided tree, for a big 12 room playhouse! 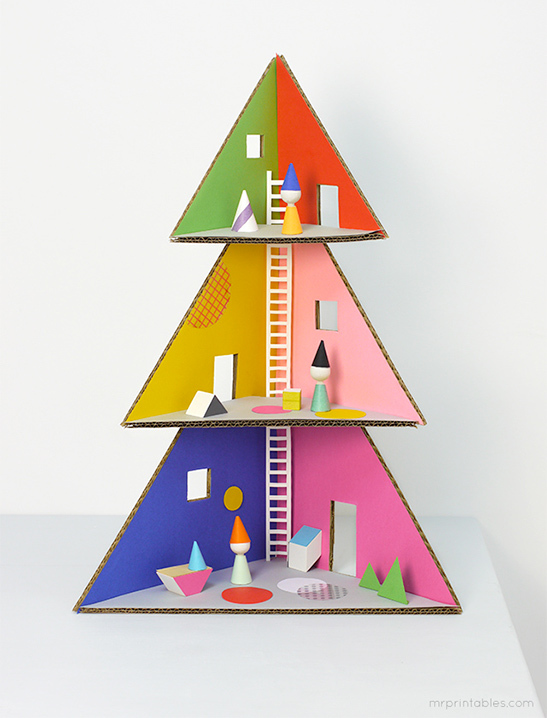 If you’re feeling ambitious you can make a huge Christmas centrepiece for children. Insert the ladder through the hole at the back. 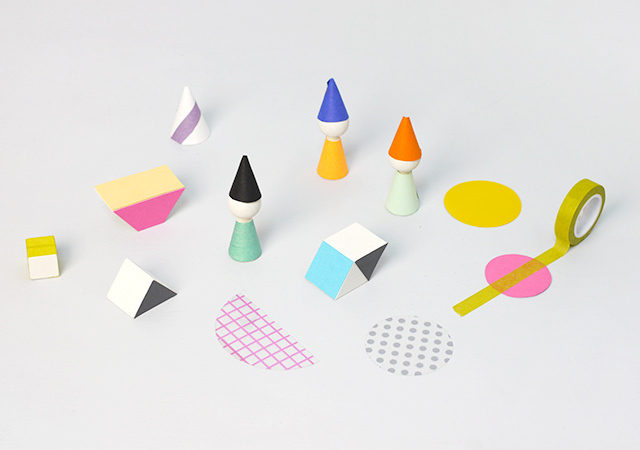 Create peg dolls and small furniture with scraps of colored cards. 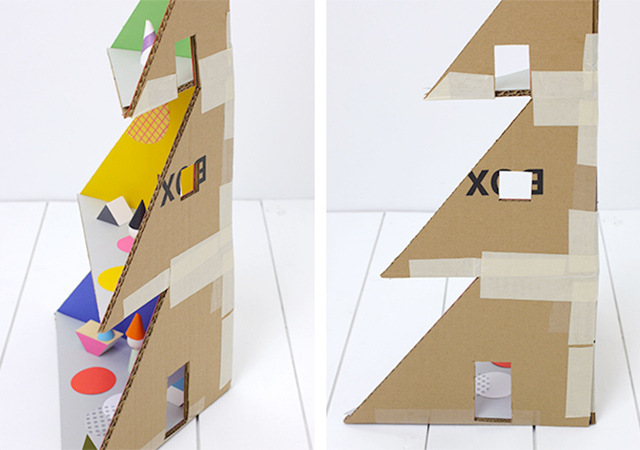 We also used scraps of the transparent shape cards and some washi tape to decorate the house. 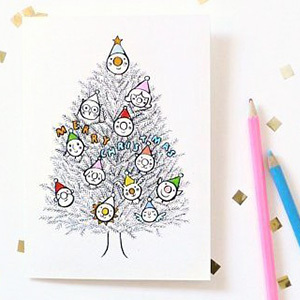 Have fun decorating the house as you would decorate your Christmas tree!